The safety and data security is always important. 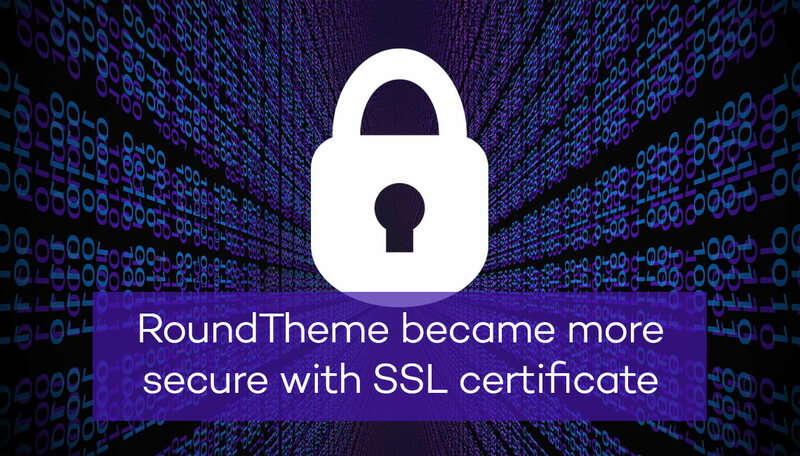 Now RoundTheme website uses HTTPS protocol entirely providing safe data transfer, so we are happy to be sure our clients can use RoundTheme website with confidence. SSL certificate encrypt data transferring and make website more trusted. All payments proceeds on payment processor side which is also secure and encrypted with SSL protocol. Have a nice surfing within RoundTheme website!